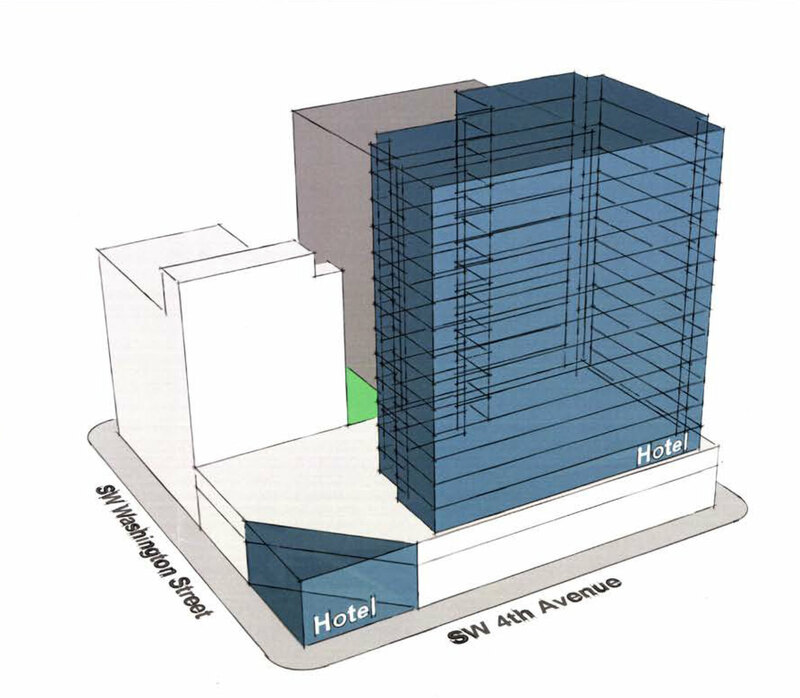 SERA Architects have scheduled a Pre-Application Conference [PDF] to discuss for a proposed 15-story, 246-room hotel at 419 SW Washington St. 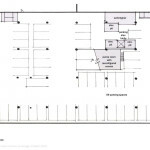 The project will incorporate an existing 2-story commercial building with a new 13-story vertical addition. 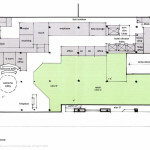 The existing 59-space, below-grade parking, will remain to serve the hotel use. The site, at SW 4th and Washington, is part of the Washington Center. The low building facing SW 4th Ave was built in 1977 and currently has 21,350 sq ft of office space and 10,630 sq ft of retail space. The adjacent building on SW 5th, which is not part of this site, dates 1963 and was designed to support a 24-story tower that was never built. The Pre-Application Conference is scheduled for April 7, 2015 at 10:30 AM. 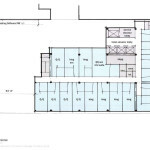 Should the project go ahead a Type III Design Review with public hearings before the Design Commission is expected to be required. 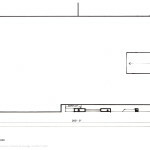 This entry was posted in 419 SW Washington St, Downtown, SERA Architects. Bookmark the permalink. Is it deliberately avoiding blocking the billboard on the adjacent building? If so, that’s too bad. We might have gotten rid of another giant advertising sign. I’ve always felt that spot needed something taller on it.